Mini LED PAR light in a lightweight moulded housing with 3 x 4W quad colour LEDs. Compatible with DMX512 or controllable via internal programs, which can be accessed from the included IR remote control. 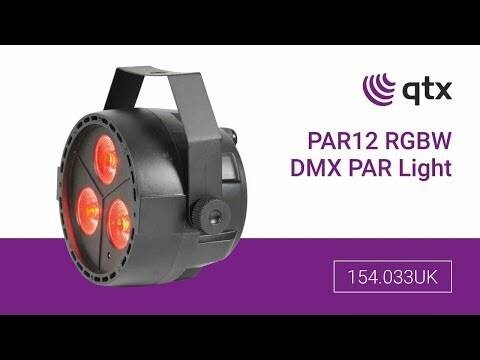 As a standalone can or as part of a large DMX installation, the PAR12 gives a powerful light output with excellent coverage.